I have always known gin to be more of a spring & summer tipple, but I wanted to make a cocktail with gin that would be suitable for the holidays. 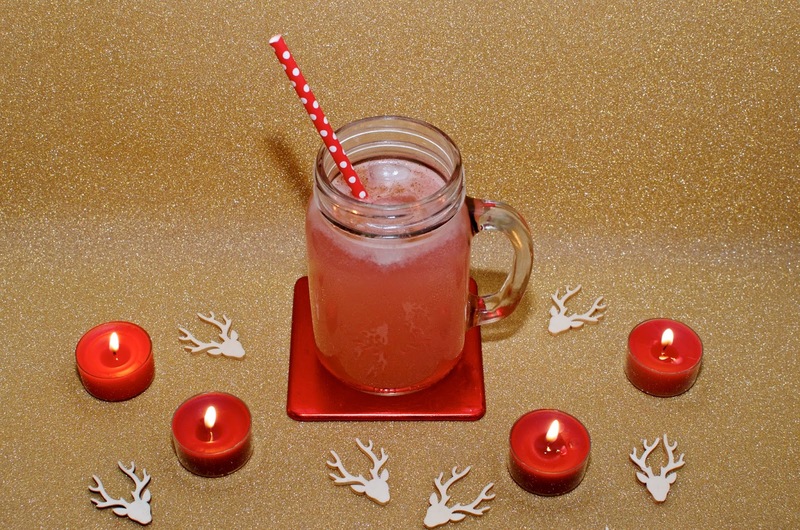 The Earl Grey French 75 that I shared earlier in the year is a lovely, glam cocktail for the holidays, but I wanted something spicier, fruitier and a bit more seasonal. 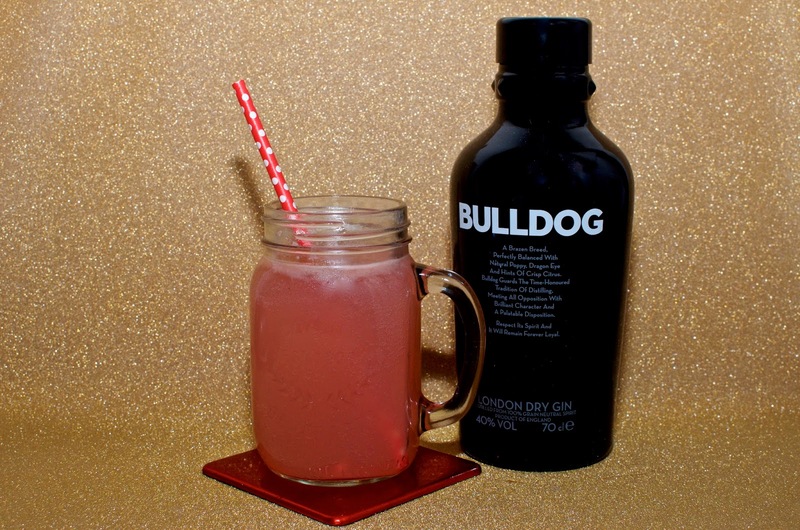 Bulldog Gin is the perfect choice for this type of cocktail because of its citrusy base and notes of almond and licorice. I am a big fan of this gin, it's super affordable and it's absolutely stunning on its own with tonic, but it makes a beautiful cocktail too. When I decided to do this I sat down and thought about flavors I consider to be reminiscent of Christmas. I came up with several options during my brainstorm and set out to the grocery store not knowing exactly what I would come home with or how it would work out. 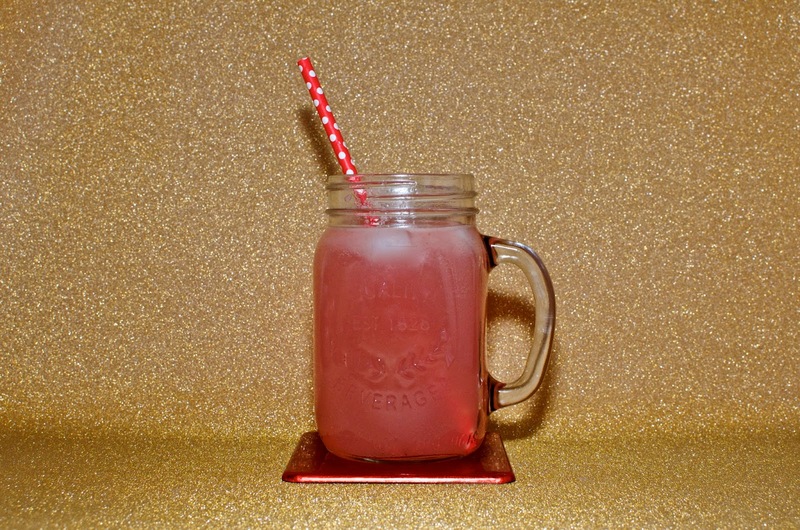 I also wasn't quite sure what I would find and one of the things I discovered that excited me the most was Ocean Spray Cranberry Sparkling Water, which I'm sure will be a staple in my home throughout the holidays. The final flavors I settled on were grapefruit, cranberry and nutmeg. Cranberry is fairly obvious I feel, as is nutmeg since both are very present during Thanksgiving and Christmas. Grapefruit however is something I will always associate with the holidays because we always had it more often during Christmas when I was growing up and everyone I knew used to get at least one box of citrus fruits as a gift from someone, including freshly picked Florida grapefruits. This recipe can be served like a punch or a cocktail and what's great about it for the holiday season is that you can make it in big batches in a pitcher or a punch bowl and leave people to serve themselves. Alternatively you can premix the gin and the juice in a pitcher to make it easy to pour the drinks if you're planning to serve them individually. If you can't locate Ocean Spray Cranberry Sparkling Water, don't worry. Simply mix 1 part cranberry juice with 3 parts sparkling water and that should work just fine. However you serve this lovely cocktail, it's light & refreshing with a hint of winter spiciness that makes it just perfect for gin lovers during the holiday season! 1. In a glass, pitcher or punch bowl, pour the gin, grapefruit juice and cranberry sparkling water. Stir with a spoon. 2. Fill a glass with ice and pour the cocktail over the ice. 3. Finish with a sprinkling of ground nutmeg. If you're serving this at Christmas, garnish with a snipped twig of rosemary. Not only will it smell amazing, but it will look like a Christmas tree branch too! Add a little simple syrup or coat the rims of your glass with sugar for a sweeter version. If you're making this as a punch, freeze some cranberry juice into cubes to use instead of ice. This will also keep it from getting too watered down. Add a little cayenne pepper instead of nutmeg for a kick of heat instead of Christmas spice. Garnish with a cinnamon stick if you're serving this at Christmastime. 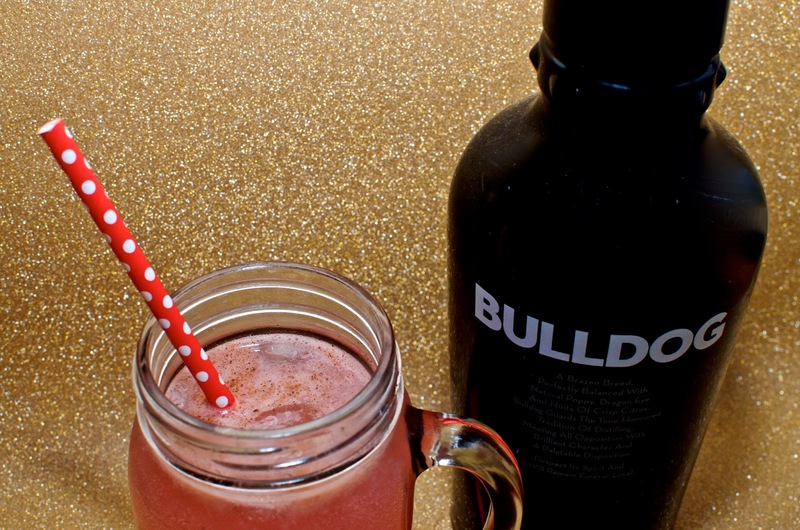 * For more information on Bulldog Gin, visit bulldoggin.com. Bulldog Gin is available to buy via Amazon, Waitrose, Tesco and Sainsbury's as well as various other places where gin is sold. 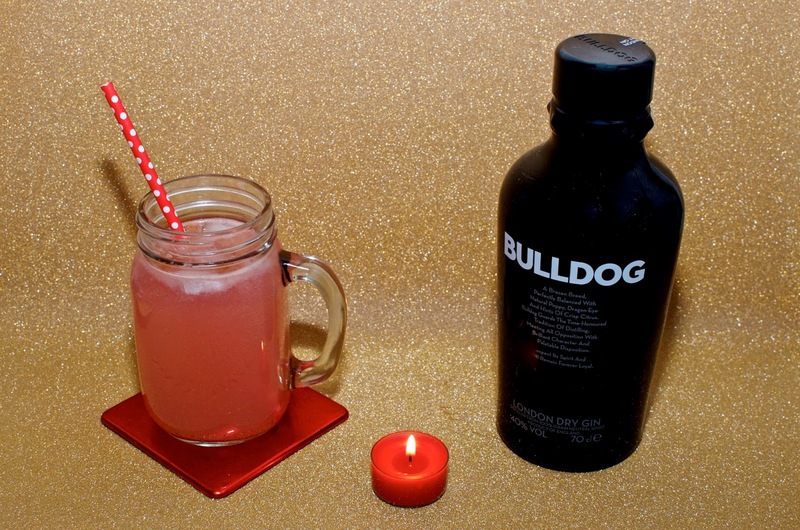 *Many thanks to Bulldog Gin for providing the gin for this recipe & post.